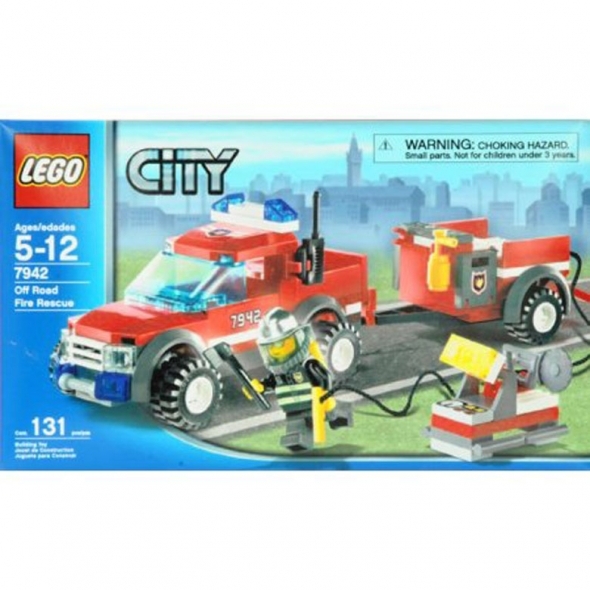 Children will definitely love the role play excitement with the LEGO City 7942 Off-Road Fire Rescue. The LEGO fire truck set recreates every day scenes and activities such as construction, police, road rescue and fire mishaps. This kid's building set contains about 131 pieces, using which your child can create these every day scenes in a colorful and realistic way. This building toy set features fire chief's off-road fire rescue truck, trailer and lots of great firefighting equipment, plus an authentic fire chief mini-figure to take command of your rescue team. This mini figure takes the responsibility of commanding the entire team to plunge into action when the fire mishap rises.